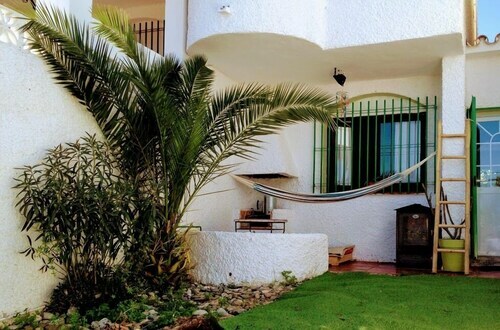 Situated in Velez-Malaga, this beach hostal is 3 mi (4.9 km) from Anoreta Golf and within 6 mi (10 km) of Hoya Las Cabras and Karting del Sol. Playa de Torre del Mar and Parroquia de San Andres Apostol are also within 9 mi (15 km). 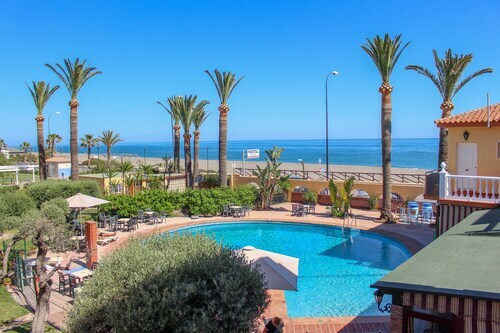 Nestled on the beach, this Velez-Malaga apartment building is within 6 mi (10 km) of Karting del Sol, Playa de Torre del Mar, and Anoreta Golf. Hoya Las Cabras and Parroquia de San Andres Apostol are also within 6 mi (10 km). 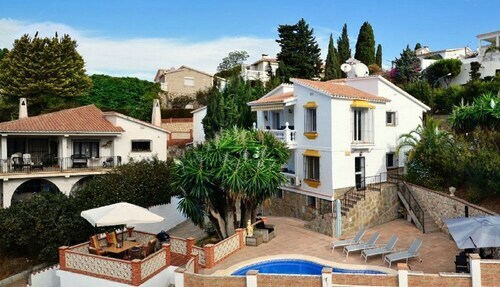 Situated in Velez-Malaga, this apartment building is within 6 mi (10 km) of Anoreta Golf, Karting del Sol, and Hoya Las Cabras. Playa de Torre del Mar and Parroquia de San Andres Apostol are also within 9 mi (15 km). Situated by the ocean, this historic vacation home is within 6 mi (10 km) of Anoreta Golf, Karting del Sol, and Hoya Las Cabras. Playa de Torre del Mar and Parroquia de San Andres Apostol are also within 9 mi (15 km). How Much is a Hotel Room in Benajarafe? Hotels in Benajarafe start at per night. Prices and availability subject to change. Additional terms may apply. Within a 6-mile (10-kilometer) distance of the hustle and bustle of Benajarafe, through Travelocity's booking page you can unearth a limited, yet excellent assortment of places to base your trip. You'll find 4 hotels, apartments and other accommodation options within 6 miles (10 kilometers) of the downtown area. Travelocity-listed places to stay that can be found within manageable driving distance of Benajarafe include the Hotel Rincón Sol and Apartamentos Turísticos Añoreta. 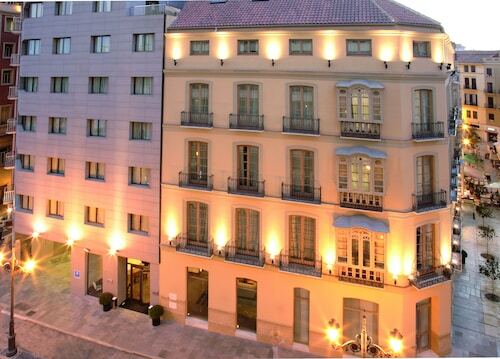 The Parador Malaga Gibralfaro is located 12 miles (19 kilometers) outside of the main part of Benajarafe. Another alternative is the Vincci Seleccion Posada del Patio, which is positioned 13 miles (20 kilometers) away. 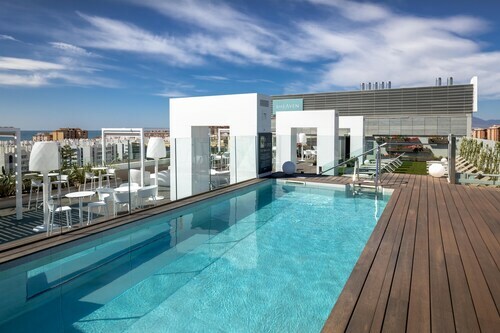 You could also make a reservation at the AC Hotel Málaga Palacio by Marriott or the Iberostar Málaga Playa. Once you and your family have got to know Benajarafe, why don't you discover a little further afield? The Andalucia region boasts countless places to see. Admire Andalucia's beaches, coastal plains, rivers and mountains. While you're at it, visit its ruins and castles. Travelers in this region of Spain will enjoy snowboarding, skiing and mountain biking. 40 miles (65 kilometers) to the west of Benajarafe, you will find Marbella, where you can spend the day enjoying Puerto Banus Marina and Orange Square. The Marbella Club Hotel Golf Resort & Spa and Gran Melia Don Pepe are some of the comfortable hotel and apartment choices in Marbella. 17 miles (27 kilometers) to the west of Benajarafe, you will reach Churriana, which is home to the Riu Belplaya - All Inclusive and Marconfort Beach Club Hotel - All Inclusive. The Malaga Airport Museum and Desembocadura del Guadalhorce are popular points of interest to get to know while in Churriana. When watching stadium sport is what you love, don't overlook a trip to Plaza de Toros, which is located 55 miles (92 kilometers) to the west of Benajarafe. Anyone wishing to find a room in the area around the game can compare the Gran Hotel Elba Estepona Thalasso & Spa or the Hotel Fuerte Estepona. 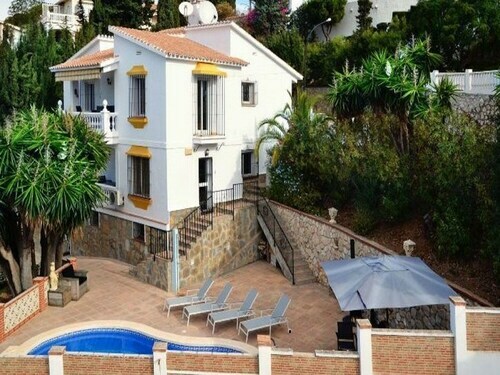 Situated 17 miles (27 kilometers) outside Benajarafe's center is Malaga Airport. Base yourself nearby at Hotel Parasol Garden or Hotel Riu Costa Lago - All Inclusive. Super close to the airport, cannot walk as no sidewalks, but taxis are 5 min. Good location, excellent breakfast, and nice size room. 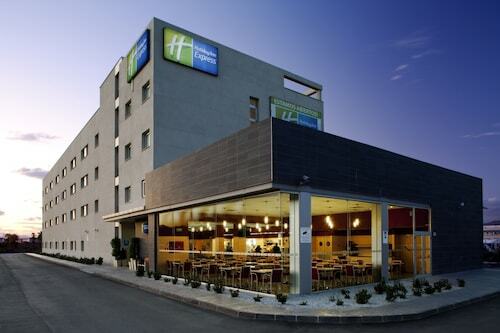 Great hotel close to port and city centre. Good value, very comfortable and classy. Benajarafe, Luxury 4 prs Apartment El Mar, 600m From the Sea. Near Malaga!